The next most dreadful thing you can face after suffering downtime is your website being too slooooooooow. Your site takes about 3 seconds to load. Is that good? Let’s see. There are two components to your site’s speed: how your website’s server works and how your site performs in general. Your server works, but you cannot directly influence it. This is because your server’s speed is your web hosting provider’s territory. Even though the response time is an essential part of your server’s performance, you cannot make it work faster (or better). Insufficient attention given to security issues. Once again, there is nothing you can personally do to affect the situation directly, BUT you can check whether your websites’s server response time is good enough. A slow response to a visitor's request = page abandonment. SERPs: page load speed is one of 200 signals that have determined SERPs since 2010, and it has become pretty clear that Google loves fast websites. And by fast, we mean sites that are <200ms (which means lots of improvements are needed by slower ones). 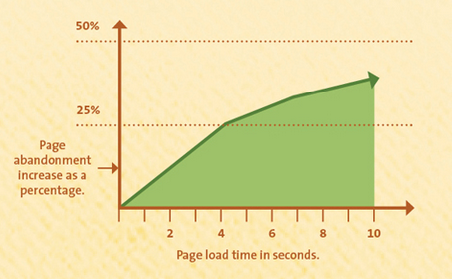 When your pages are slow, you will definitely lose both. As long as it’s not in your power to speed-up your server, that is exactly why you might need a new provider, especially if you are on shared hosting. While there are large companies that possess a large number of servers, they are not necessarily as diligent and dependable as their smaller, less well-known competitors who provide cheaper offers and make much more of an effort to keep their servers happy. There are providers out there that won’t let you down, we know that for a fact. You can check the speed of the Shared IP* on sale at the moment, as well as the average that is provided by a given provider (you can easily learn its IP address from the hosting support). More importantly, you can see the data for a continuous period of time (starting from December 2016), which will give you the detailed performance history. That's something you are unlikely to find anywhere else. Thus, by having all of the data to hand, you can make your own comparisons and draw your conclusions about the right choice of provider. Maybe it’s time that you benefited from such a change. Judging by current trends, we can definitely say that a good web hosting will be a “must” in the near future. So, it is good that you now have our assistance to help you make a more informed choice. After all, this is only partly about Google having its own preferences. It is much more about gaining your customers’ trust and the impact that the server response time will have on your conversion, orders, sales and revenue. * 1 Shared IP contains more than 50 websites. “50 and more domains rule” means that we take only Shared IPs starting from 50 domains and more – it allows us to cover the maximum number of Shared IPs (~98%) and to provide the most reliable uptime information. We have data about ~150mln websites. We check which web hosting provider they belong to on a daily basis. However, there are only ~12mln websites that comply with our “”50 and more domains rule” (except for Parked Domains). And these are the ~12 mln websites that we ping daily for their uptime and response time.